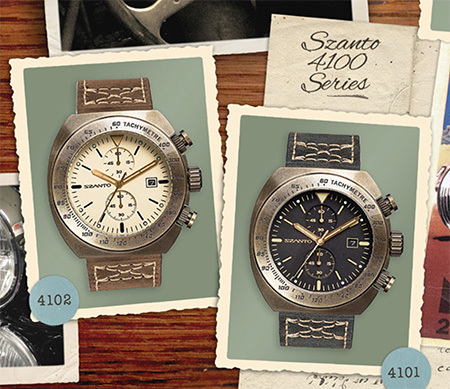 This Strap is for the Szanto 4100 Series. 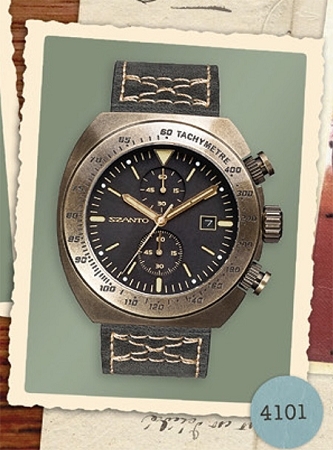 It is genuine leather, and the color is dark gray with cream stitching and a steel antique gold color buckle. They all are the same size and fit Series 4100. Models 4101, 4102, 4103.